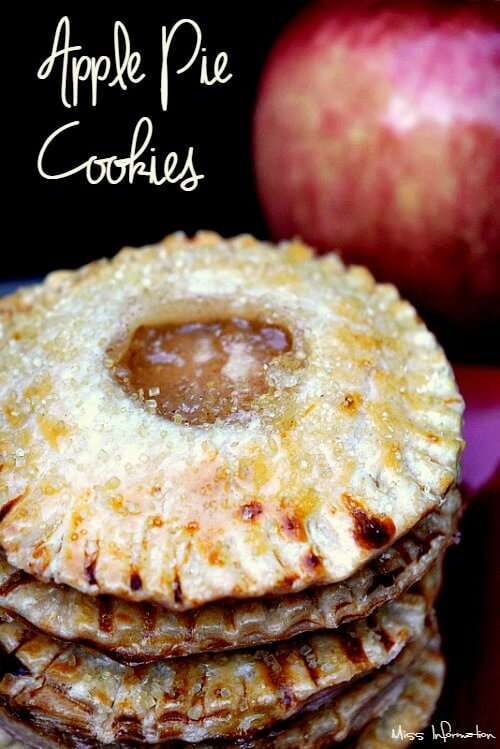 Apple pie cookies are a sweet treat that has all of the flavors of a homemade apple pie, tucked inside of a cute cookie! Pie is a glorious thing and I love all types of pie, but the most popular flavor of pie in America is, of course, good old Apple pie. 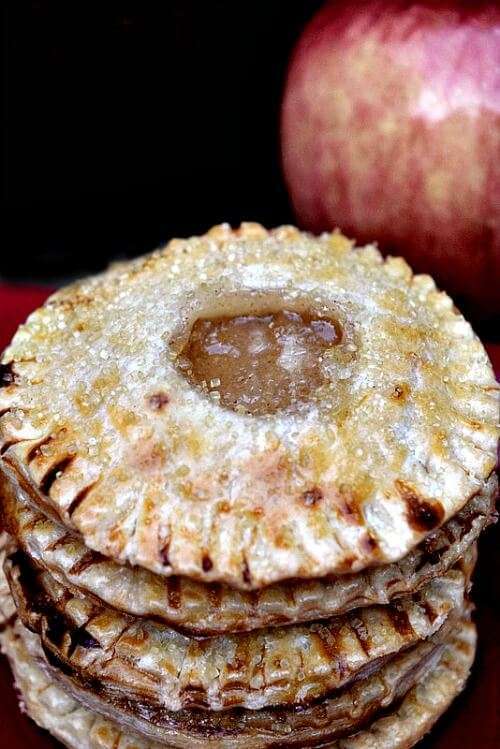 If you love pie but want something a little more fun, portable for a picnic, or perfect for a party these apple pie cookies are the perfect treat. 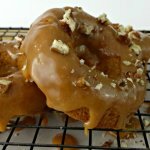 If Apple is not your fave don't worry any pie filling will do, you could make pumpkin pie cookies for the upcoming holidays. They are so easy to make using refrigerated pie dough, or you are welcome to make your own if you are good at that, but me… not so much! Roll out your pie dough – just 2 swipes each way is enough. 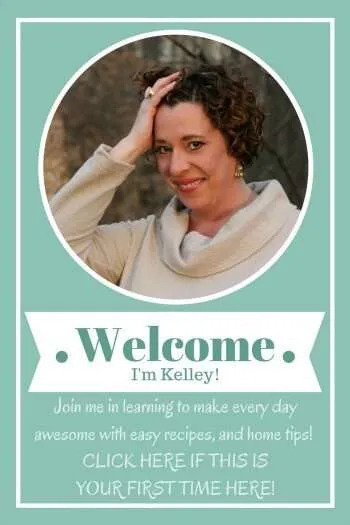 Take a round cookie cutter (mine was 3″ in diameter) and cut circles out of each pie dough circle. I was able to get 8 out of each crust round. 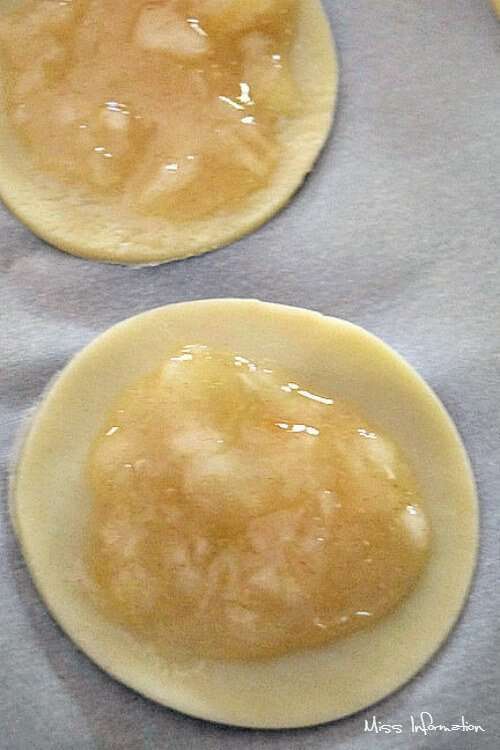 Place 1/2 your pie circles on a parchment lined baking pan and spread 1 tablespoon pie filling in the center. I like Comstock pie filling, it's made with large apple slices in it so I threw it in my Blendtec blender for a few seconds to chop it up. 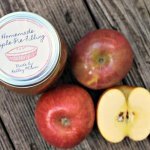 If you prefer homemade filling, you might want to try my slow cooker apple pie filling it's so easy and tastes great. Refrigerate the canned pie filling for about 30 minutes after you chop it up, making it thicker and less runny. You don't want the filling to reach the edges or your pie crust cookies will not seal, causing the filling to leak out when you cook them. 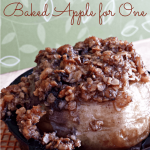 Now you are ready to make the tops of your apple pie cookies! 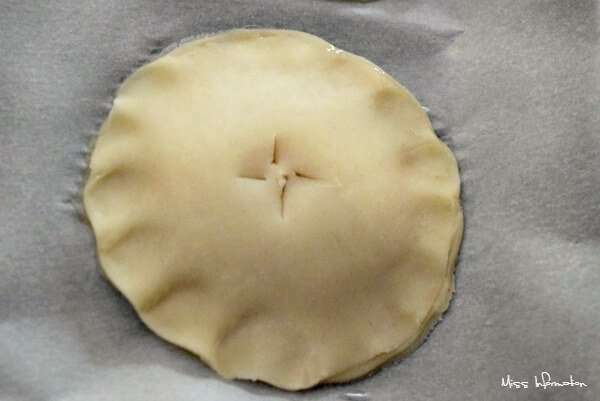 If you want to cut a vent hole like the first picture above or use a small cookie cutter in the top pie crust then do so now before you place it on top. If you are just making slits like you see below, you can wait until after you put the tops on. Dip the tip of your finger into one beaten egg and run a small line of egg wash around the circles on your cookie sheet. Next, take each top crust and do the same, before putting it on top. 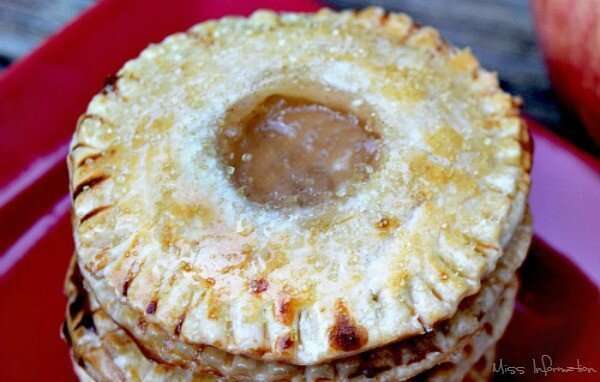 You can use your fingers, a pie wheel, or a fork to go around each circle and seal them. 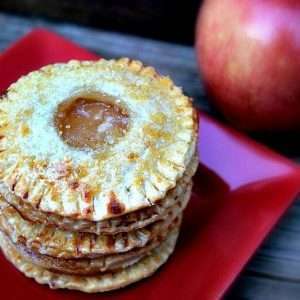 Take the remaining egg wash and brush it on top of each of your apple pie cookies. An egg wash on top will help with browning and give them a pretty sheen once the apple pie cookies are baked. Sprinkle turbinado sugar on top and bake at 450 degrees for about 12-15 minutes depending on your oven. Remove from the oven and serve warm with ice cream or let cool. 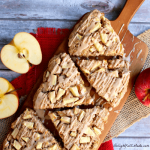 Easier to eat than a huge piece of pie, great for kids and fun to make. 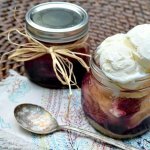 Open your can if pie filling if your pie filling has large apple in it put it in a blender for a few seconds or chop them up with a knife to no larger than 1/2-inch size. Refrigerate the pie filling for at least 30 minutes this will thicken it so it does not run to the edge. when you spoon it onto the dough. Roll out each pie dough round, just 2 roles horizontal and 2 vertical is enough. 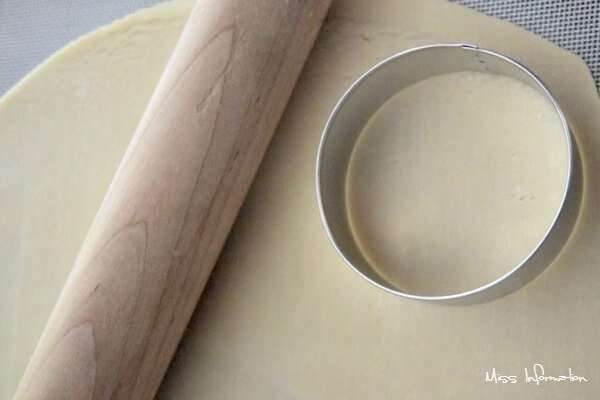 Take a cookie cutter and cut circles out of each pie dough circle. Place 1/2 of the pie circles on parchment lined cookie sheets. Spread 1 tablespoon pie filling in the center of each pie. If you want to cut a vent hole or use a small cookie cutter in the top pie crust then do this now. If you are just making slits with a knife, you can wait until after the next step. Take one beaten egg, and with your finger put a small amount of egg wash around the circles on your cookie sheet. Take each top crust and do the same then put the side with the wash face down onto your pie bottoms. Take the remaining egg wash and brush the top of each pie cookie. 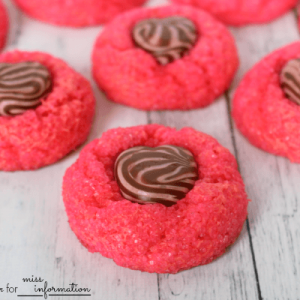 Sprinkle turbinado sugar on top of each cookie. Bake 12-15 minutes depending on your oven. Remove from the oven and serve warm with ice cream or let cool. If you love cinnamon you can mix 1 tsp. cinnamon, 1/4 tsp. nutmeg with 1/4 cup sugar and sprinkle on top instead of the turbinado. 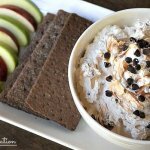 Great recipe easy and simple. 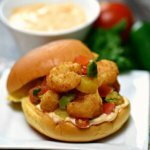 These look like everyone in the family will enjoy them. Thanks for another great recipe. Love these! 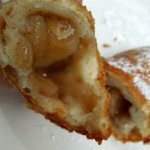 I really like the suggestion of blenderizing the apple filling. Makes so much sense! Thanks so much glad you liked the tip!